Essential Parent is thrilled to be able to support several fantastic charities and organisations that work with babies and their families. We are proud to work with Barnardo’s in their support of new parents and families. 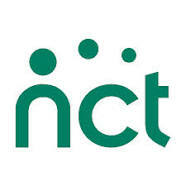 The Essential Parent Company is proud to support the amazing work of the National Childbirth Trust (NCT) in the UK. We are delighted to provide their practitioners with our visual materials to use with parents and parents-to-be. We share the NCT’s belief that confident, informed parents are the foundation of a happy family life. Pact is a national charity which supports people affected by imprisonment. Pact provides services in 35 prisons across England and Wales. This includes Family Support Caseworkers, Visitors’ Centres, children’s play, tea bars, relationship and children education courses and resettlement projects. Pact also run training for prison, probation and local authorities. Essential Parent have provided our Essential Baby Care Guide to several mother and baby prison units as well as to parents who are returning to their families after prison. The Genesis Research Trust, whose Chairman is Professor Robert Winston, raises money for world-class scientists and clinicians who are researching the causes and cures for conditions that affect the health of women and babies.Genesis Research Trust needs your help to ensure the health of future generations. We are very proud to have such strong links with such a wonderful and important charity.